We received this stamp set called “I Am” at convention for completing our classes. Its a great and classy stamp set and I thought it was perfect to use on the birthday card I was making for my mother in law Joanie. 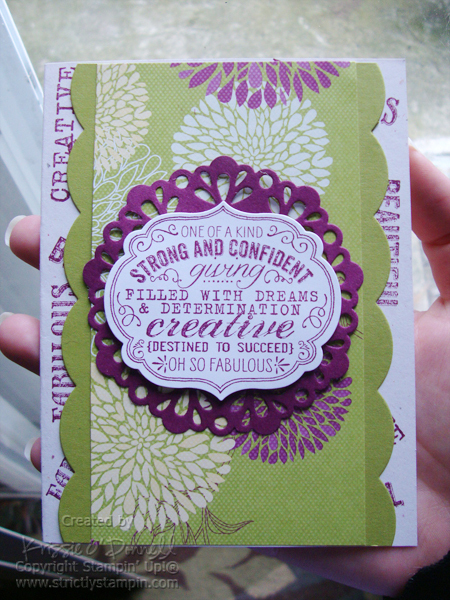 I also used some more fun goodies, the new doily sizzlet, and scallop edge framelit.